Last week was a good one. I really felt like I was approaching a level of balance between making, exploring, and connecting. On Monday afternoons, all the artists are invited to a different studio each week. My second week here, we visited Ruganuz Bruno’s studio for a great recap of his four month residency. The next week was a visit to my studio. I shared what my life is like in Alaska both in the studio and out including some fun pictures of McCarthy. 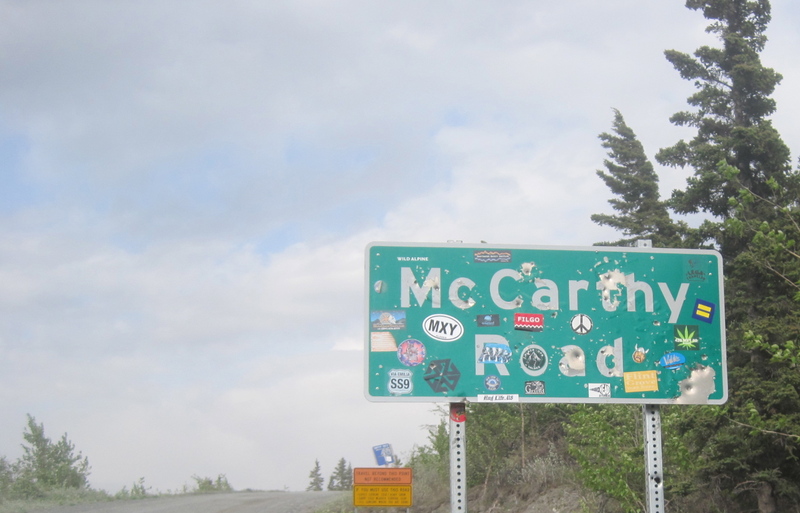 Yes, we shoot our signs up here in the wild far north west. I personally think it is a uber dumb thing to do. 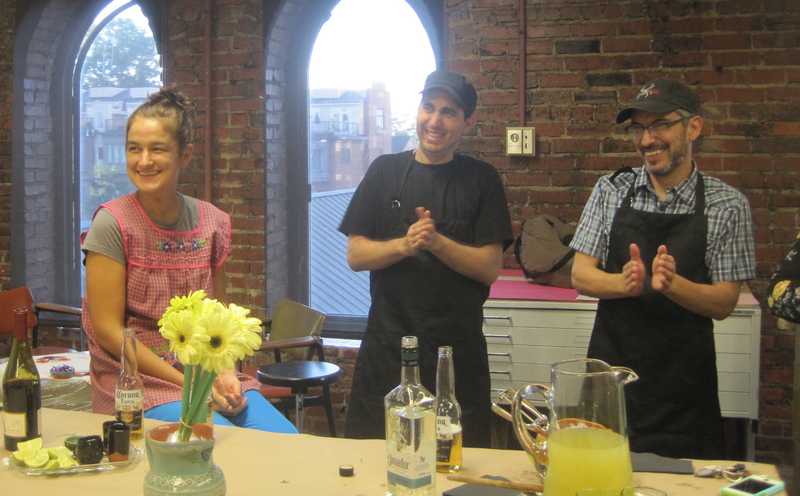 This past week, we visited Betsy Birkner’s studio on the 3rd floor of the McColl. 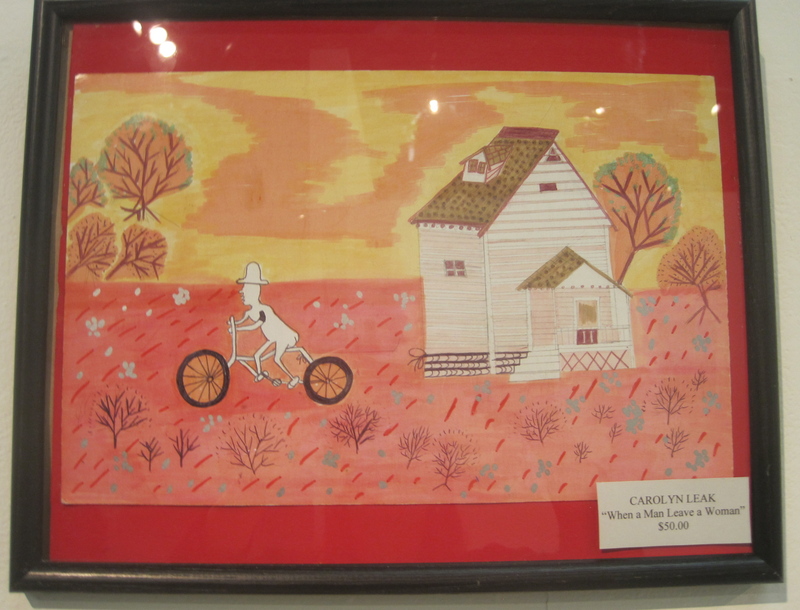 Betsy is one of two local artists at the center who are here on year long residencies. Betsy shared with us her story of moving from science illustrator to graphic designer to visual artist. Betsy uses ceramics as a portal for addressing social issues. In particular, she exploring what it is to be human in a society burdened with excessive media and social messaging. On Wednesday, I had breakfast at the Charlotte City Club with McColl Board President Barbara Laughlin. 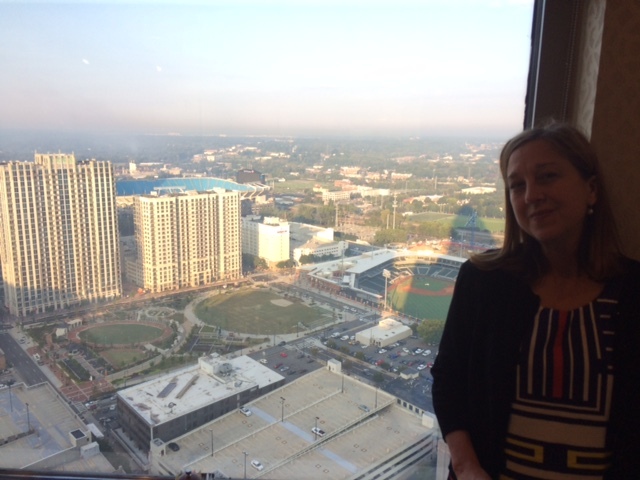 The City Club has a serious view of Uptown Charlotte. After breakfast, Barbara invited me over to her house (aka Museum of Asian Textiles and Beautiful Pottery) to see if I wanted any of her fabric remnants. Barbara did all of the window treatments in her home and, well, McColl and I benefited from that lengthy project. Score. Thursday was dinner with Dignicraft my next door neighbors in the McColl studios. Dignicraft served us yummy tequila and flautas. 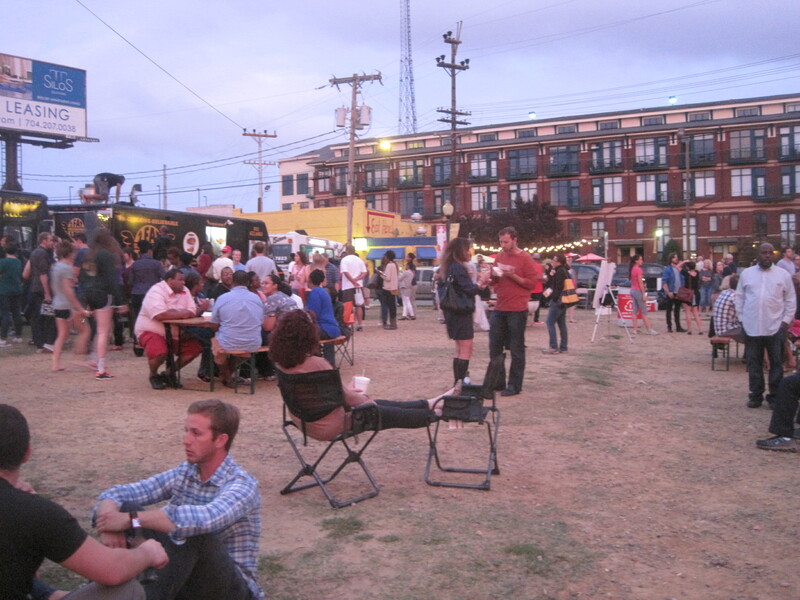 The company was fine and the food was delicious. Dignicraft is working on a project called Encounters/Encounters: Three Artisans. It is a long term project documentary project following three master artisans who have the opportunity to follow their art as it journeys into buyer’s hands. After dinner, some of us headed to the Belk Theater where we saw ONCE. I took pictures until the ladies behind me informed me that I could lose my camera if I was caught. Okay, I’ll stop. 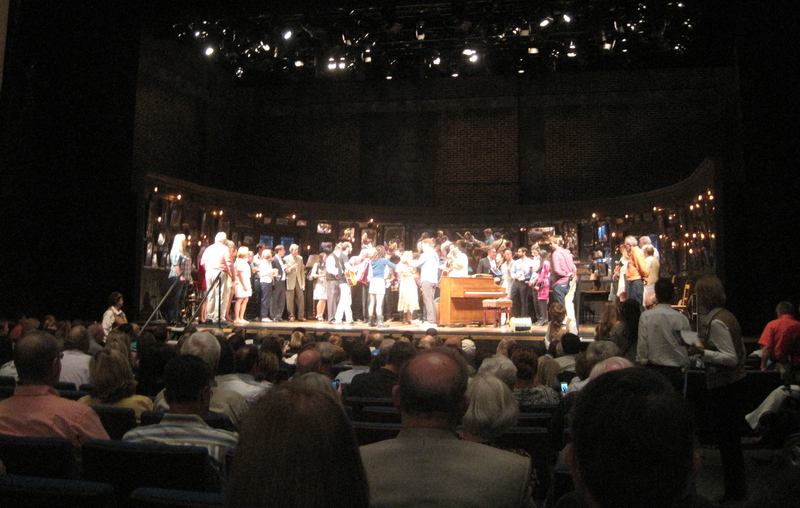 They had a bar and music on stage before the show and during intermission. I loved the movie, and it was great fun to see the live version. 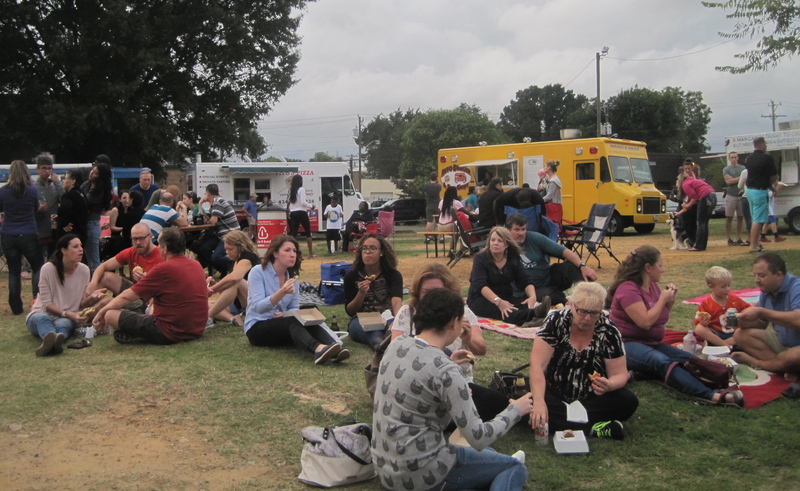 I rounded out the week with Food Truck Friday in Historic South End Charlotte. Yet another yummy culinary experience. Early on, I had been told that there was good food in Charlotte, and I have not been disappointed. 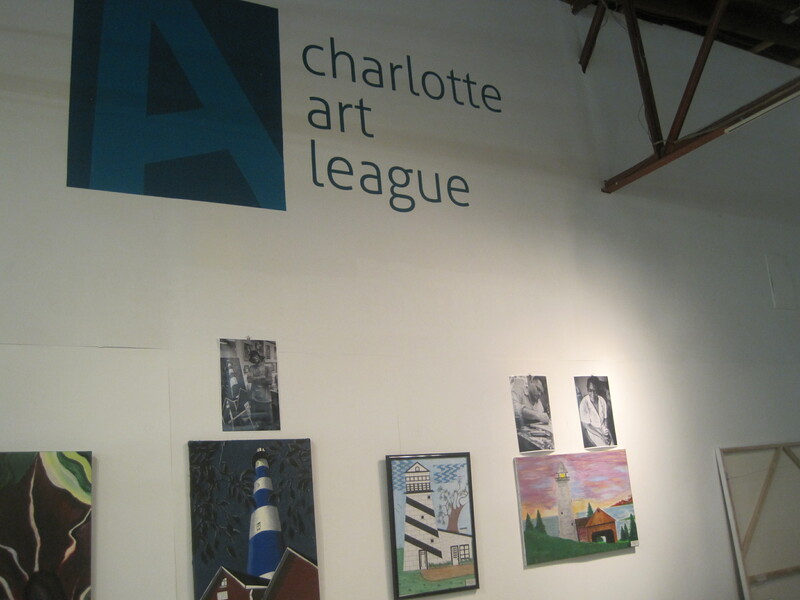 The final event of the week was a First Friday opening at the Charlotte Art League. Many of you know that I am working on a community quilt with the residents of Moore Place a permanent housing facility for formerly homeless individuals. 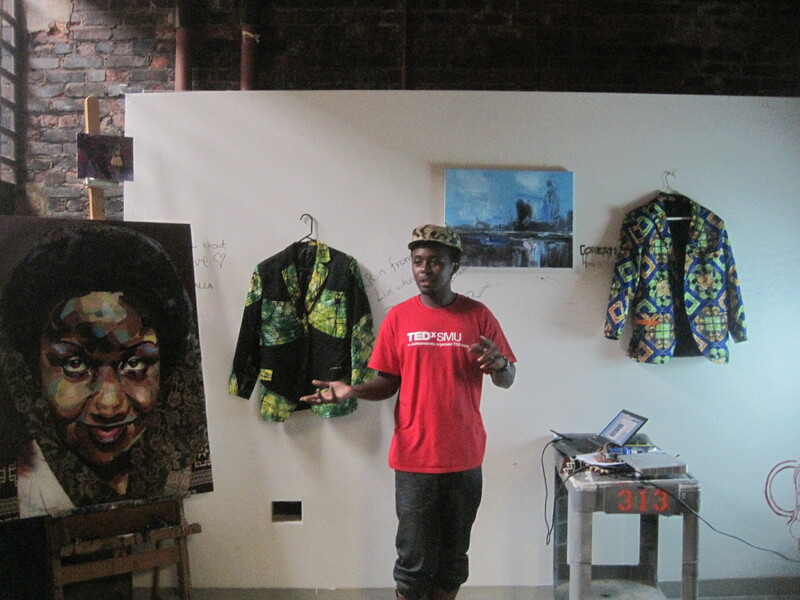 The Urban Ministry Center, which founded Moore Place, also sponsors Artworks 945 which is an outreach program for homeless individuals–giving them a space for creating and sharing their art. All of the art in show was created at Artworks 945. I was kind of blown away. I added this piece to my personal collection. I love it. It is called When a Man Leave A Woman by Carolyn Leak. 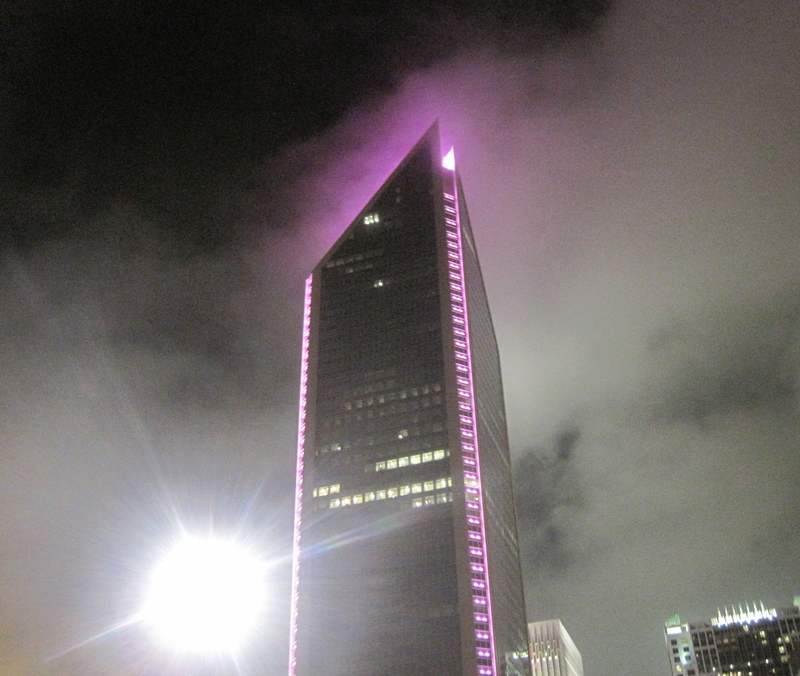 We didn’t get rained on as the weather man had predicted, but we did get to pretend that we were living in Gotham City. You do all know that I am stitching in between all this eating and meeting, right? I finished three more Uptown Commuter Bags this weekend. I hope everyone is off to a great week. I feeling like it is going to be a good one here. 06 Oct	This entry was published on October 6, 2014 at 4:20 PM. 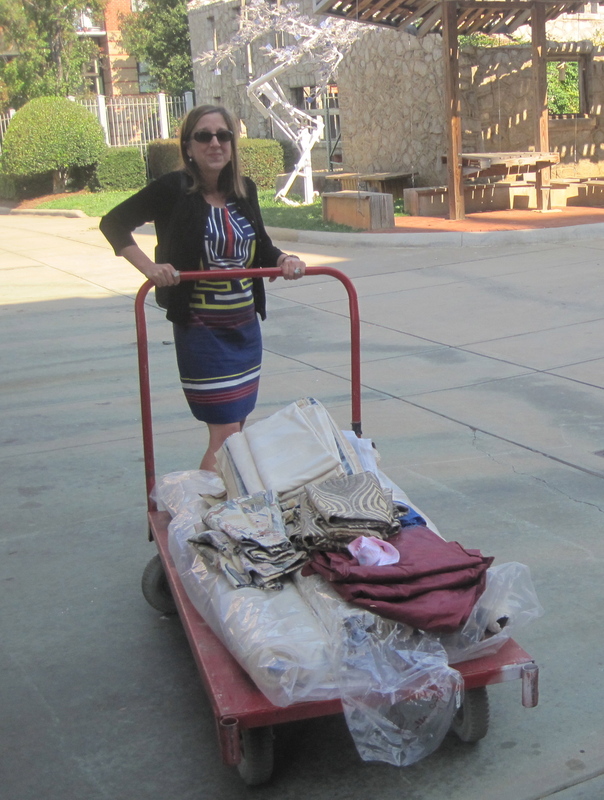 It’s filed under Image Journals and tagged McColl Center for Art + Innovation, week in photos. Bookmark the permalink. Follow any comments here with the RSS feed for this post. Carol- you are so right. I had so many yummy meals in Charlotte. I am trying to walk them all off now…..